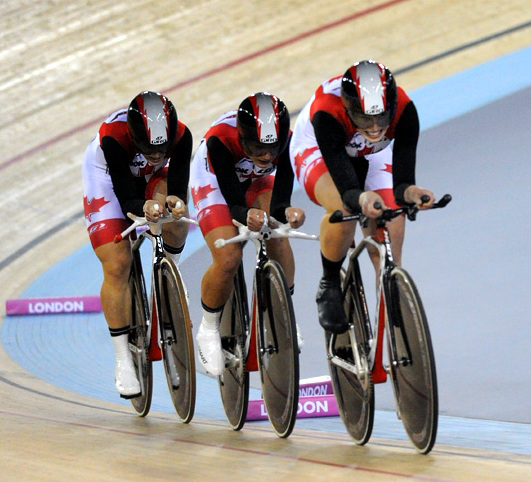 Favorite Sports Memory: Winning my first ever World Cup medal in the Team Pursuit and setting a new Canadian Record at the Olympic Test Event in London. How you got involved in your sport: I got involved with the local cycling scene through a bike shop I started working at during my first year of University. I had competed in Triathlon when I was younger and so I owned a road bike and had a bit of cycling experience, but I was totally unprepared for how fast and exciting a real bike race could be. I loved it! The moment you knew you wanted to represent Canada: After watching Simon Whitfield run past the entire field on his way to winning gold in the Triathlon at the Sydney Olympics, I knew that one day I wanted to wear the Maple Leaf and stand atop the Olympic podium. CAN Fund Testimonial: With support from CAN Fund, I will no longer have to worry about whether or not I can afford the equipment, tools, and nutritional products necessary to compete at the international level. 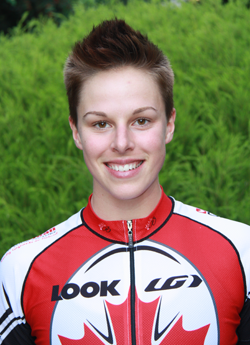 I will be able to focus 100% on training and preparing for the London 2012 Olympic Games! Share one valuable tool that you use on a daily basis that helps you to be the best athlete you can be: I do several sun salutations when I get up in the morning, and I find that they act as a good reminder to breathe deeply and stand tall throughout the course of the day. Who is one person in your life that has impacted your career and what was it that they taught you? My mother taught me from a young age how to identify my goals and plan the steps I would take to achieve them. My father showed me how to enjoy the actual process of training and working towards something important. Have you read any articles or books or watched any videos or movies recently that really inspired you? I just finished reading Sir Chris Hoy’s autobiography – it was a really interesting look into the of one of track cycling’s greatest riders.